– Soft Touch Cotton Fabric. – Oversized Hood with Ears+Prints. Cute meets Goth; an easy go-to piece for when the moon rises, the festival reaches day 2 or simply just servin’ some moon-vibes any day of the week! 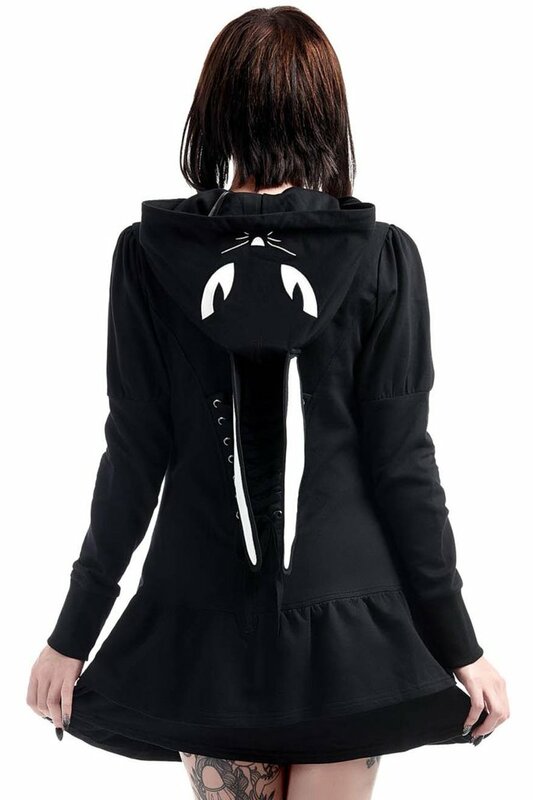 Soft touch cotton-jersey, with zip front, large oversized bunny-ear hood with drawstring detail, eye-print, pockets and ribbed cuffs. Match with yer fun + attitude anytime and anywhere! Wash Cold – Gentle Cycle. with KILLSTAR Branding, 100% Cotton. Victoria Poison Shop – Highest quality Dark Fashion. Shop za ljubitelje svih mračnih i alternativnih stilova – Gothic, steampunk, PinUp, Rockabilly, Psychobilly, Punk, Rock, Streatwear! Najmračniji u Beogradu, od 2014.